* Atomizer disassembles for cleaning. The Zeus Thunder 2 is the newest edition to the series made for wax and concentrates. It comes in a sturdy box with a soft velvet insert. The Zeus Thunder 2 kit comes with: an instruction manual, four black O-rings, a USB charger, a silicone wax container, a packing tool, the Z-Fuel battery and the Z- Wax 2 atomizer. 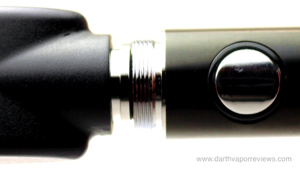 The Z-Fuel battery combines with the Z-Wax 2 atomizer is roughly 5" in height by 1/2" in width. To charge the Z-Fuel battery, screw it into the USB charger and connect it to a wall charger. Press the button five times to lock or unlock the battery. 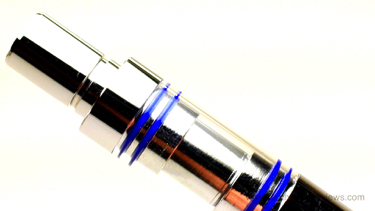 To use the Zeus Thunder, slide off the glass shield and mouthpiece. 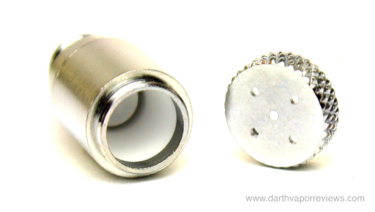 Unscrew the cap from the core to reveal the heating chamber. Overall, it seems to be built sturdy with an improved ceramic plate instead of exposed coils. If you would like pick up the Zeus Thunder 2 for yourself, just click on the logo or link below. Have an excellent day and may the vape be with you! 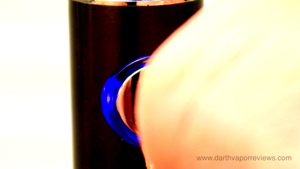 Use the tool to place a pinch on to the heating plate in the center of the chamber. Screw the cap back on to the core and replace the glass shield and mouthpiece. To start the heating process, press and hold the button for three seconds before taking a slow draw. 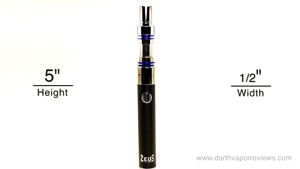 For a wax vaporizer, the Zeus Thunder 2 has a nice, small size which makes it very convenient for travelling. The only potential cons that I see are the chances of the glass chamber getting broke since it doesn't fit 100% snug in place. It would be nice if they had a snap on or screw on protector to cover the glass. * Glass chamber could slip off.